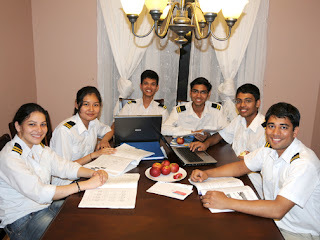 Blue Bird Flight Academy,commercial pilot training school,ppl in canada, CPL in USA,flying school: How to choose a Best Pilot Training School? Selecting the best flying school should be based on student's own goals, achievements, and skill levels. Students must select a school, where they can be both challenged and successful. The best school is often a matter of specialized programs, designed to provide additional skills or support. Students, who prefer a lot of social interaction as part of their learning process might benefit from being in a larger school, with a broader range of programs and students. What is the school's safety record? What is the availability of aircraft? How many instructors have taught according the license or rating you seek? Is the Pilot training cheaper? All equipments provided through school are modern or not? How are the facilities school provided to you? Which standard of accommodation they give to their students? It's also a good idea to make a conversation with former students of the school, as they can give a lot of practical information about the quality of the program, and how well their training went? By choosing the right flight school students can begin an exciting new chapter of their life as an aircraft pilot either just for pure enjoyment or as a rewarding and lucrative career. Awesome and very lovely photos. Nice information. Go on Google then search there best flying school in Canada. Choose school from student reviews.